Design, Supply, Installation, Commissioning of Central SCADA System for water treatment plants, Sewage treatment plants and Pump stations. There are several water treatment plants, Sewage treatment plants and Pump stations in Jizan, a city in Saudi Arabia. Each station is operated by contractors. Feedback from the stations are not analyzed and hence maximum efficiency is not achieved. 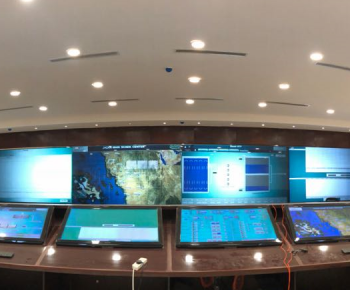 Therefore, the customer had a requirement to connect all the stations to a central control room and control and monitoring of these stations need to be done centrally. A new SCADA system is implemented to monitor all the stations. Directorate of Water is assigned as Central Control Room (CCR). Daily production, daily data, pumping details and consumption details reaches MoEWA authorities. For this, communication is established among all the stations and centrally to CCR. Also, supply of flowmeters and level transmitters are done at different stations. Implementation of Computerized Maintenance Management System (CMMS) along with Data Analytics and Reporting Software is done. Wonderware System Platform redundant SCADA system with 100K tags is used in this project. ACTIVE, an innovative Data Analytics Software from SPIA was used for Analytics. Through this solution, performance analysis of each station is done centrally and customer has the advantage of reducing the manpower and improving the availability of all the stations. In Jizan, the solution helped to turn operation of some stations into unmanned operation.